We know there is no match-day more exciting than that of Exeter Chiefs, so we want you to be as prepared and well informed as possible. 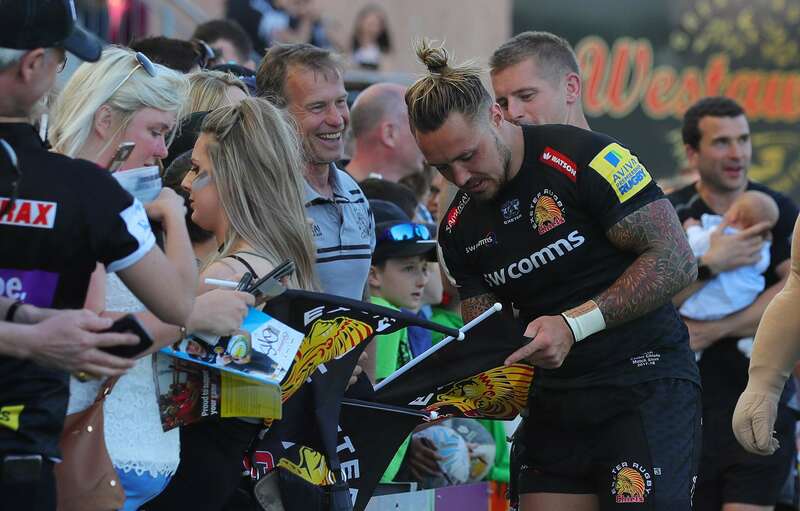 The following supporters’ guide has been designed to ensure you not only get the most from your visit to Sandy Park, but you are fully aware of what Exeter Rugby Club have put together to ensure we provide the perfect match-day experience. From the minute you arrive at the stadium to the moment you depart long after the final whistle, we leave no stone unturned in our quest to meet the high standards that you demand from a visit to the West Country’s premier sporting club. With 15 different themed bars located all around the stadium, visitors should never need for a drink. Our quick-pour systems, contactless payment and efficient match-day staff ensure waiting times are always kept to a minimum. Our bars, which open three hours ahead of kick-off, allow you to soak up the pre-game atmosphere, as well as catch up with friends and family. They also offer a wide range of drinks, both alcoholic and non-alcoholic, to ensure your liquid refreshment is well catered for. When you’re in the mood for food, you can enjoy unbeatable value and a truly tempting choice of food-to-go outlets that promise to give your taste buds a real treat. All of our match-day food is freshly cooked and inspired by well-sourced ingredients which are prepared and served quickly with passion, so you can refuel on your favourites without missing a moment of the match-day drama. 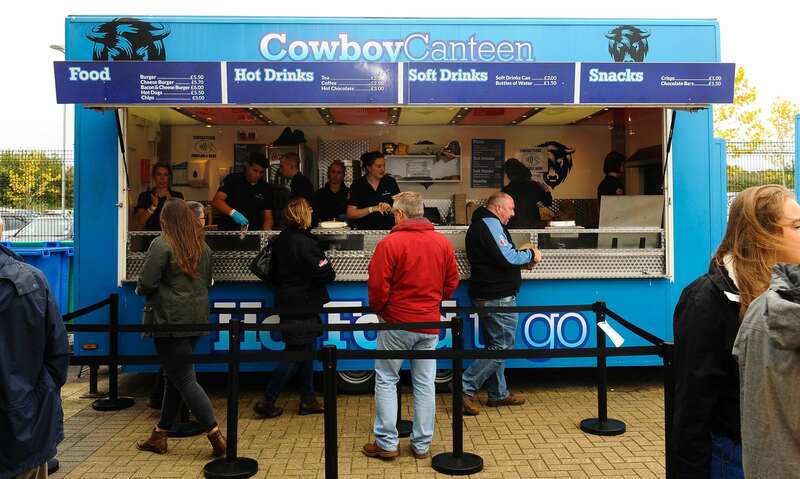 With eight different outlets available around the stadium, choose from our famous Chunk pasties and pies, Hog Roast, Burgers, Foot-Long Hot Dogs, Southern Fried Chicken or the ever-popular match-day curry in the Wigwam Bar. Show your colours on a match-day by visiting either the club's flagship store located in the West Grandstand or one of the two mobile shops situated at the entrances to the North and South turnstiles. 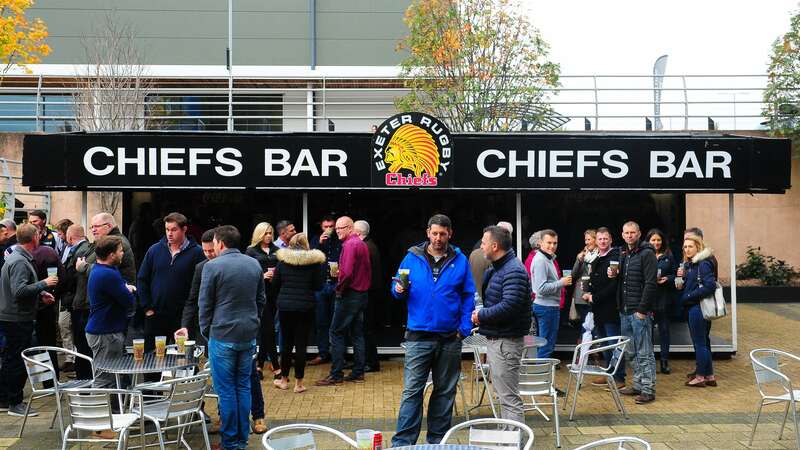 Stocking all of the latest Exeter Chiefs kits, leisurewear, merchandise and souvenirs, the Trading Post really is the must-go, stop-off point for all Chiefs fans on a match-day. 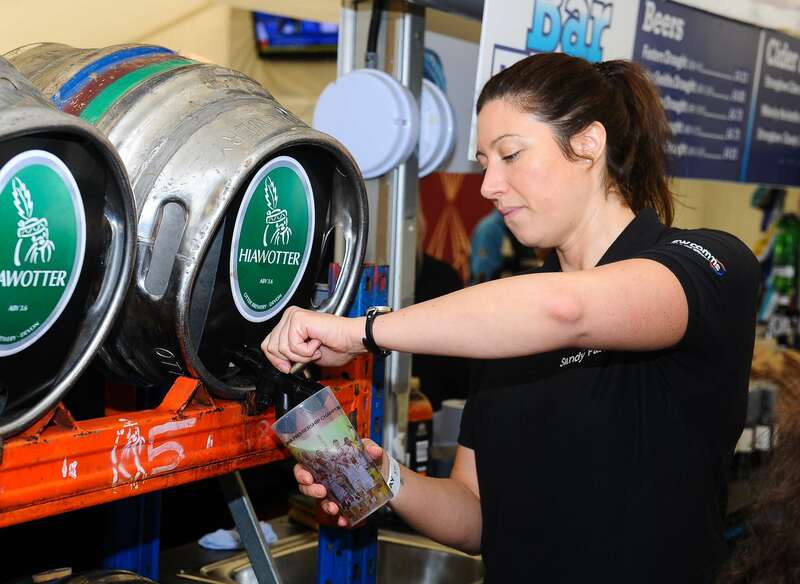 We know that rugby is the order of the day for most on you on an Exeter Chiefs match-day, but equally visiting Sandy Park is all about the overall experience of your visit. From the moment you arrive until the time you decide to depart, we guarantee not only a fun-filled day of entertainment, but an action-packed one at that. With stadium doors opening three hours prior to kick-off, our entertainments team are on the go from the outset, helping to create the famous, award-winning atmosphere that is the envy of all of our rivals. Our Half-Time offering is equally popular, allowing supporters the chance to not only win products from club partners such as Darts Farm and Otter Brewery, but also acknowledge the many youngsters who have been part of either our Super Saturday/Sunday programme led by the Chiefs Community department. Then, once the on-field action finishes, there is no need to rush away after the final whistle as our post-game entertainment kicks into life almost immediately. Swap life in the stands for that of our bars as the after-match party continues well into the night. Choose from either Disco Danny belting out his classics in the Wigwam Bar or the choice of two live bands in the Exeter Suite, we serve up a post-game party that is second to none. With the club committed to laying on extra late buses to get supporters back into the City Centre, there really is no need to rush away and call it a day. 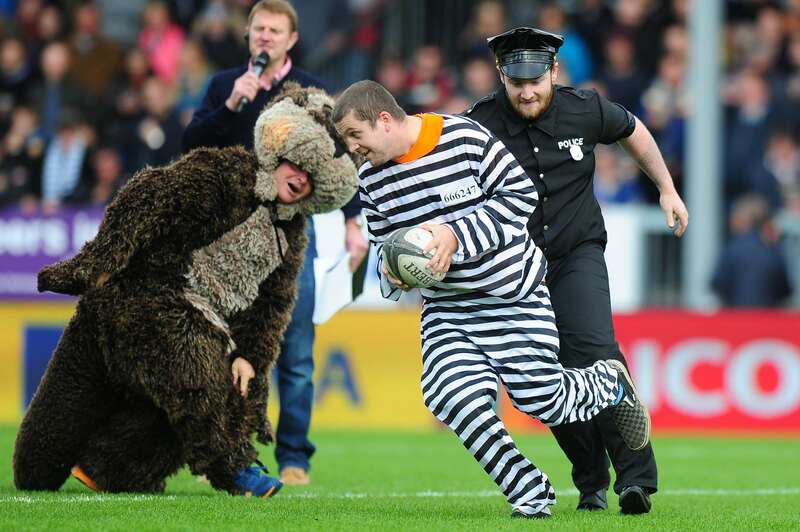 Instead, hang around and celebrate to your hearts content as you put the seal on a great day out at Sandy Park. 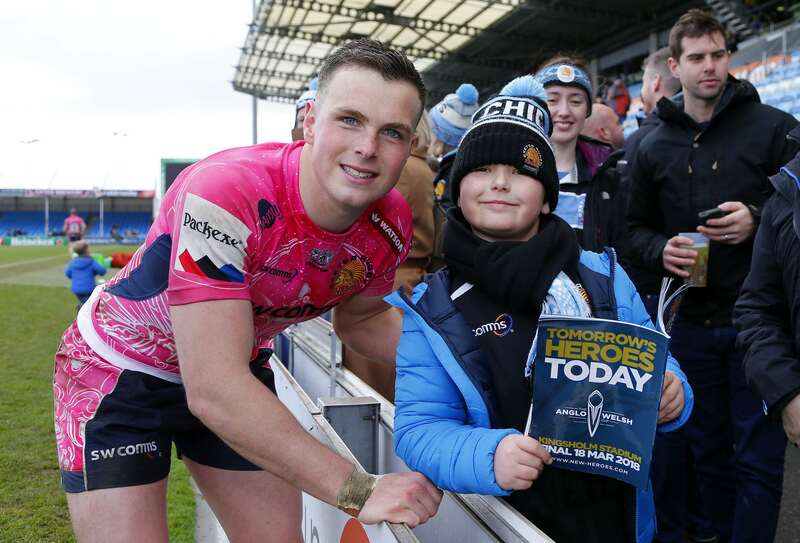 Following the final whistle of every home fixture here at Sandy Park, get to meet members of the Exeter Chiefs first team squad as they come pitchside to say thank-you for your support on the day. Get up close and personal with all of your favourites stars, who will be on hand to sign autographs, pose for selfies, or just stop for a post-match chat. 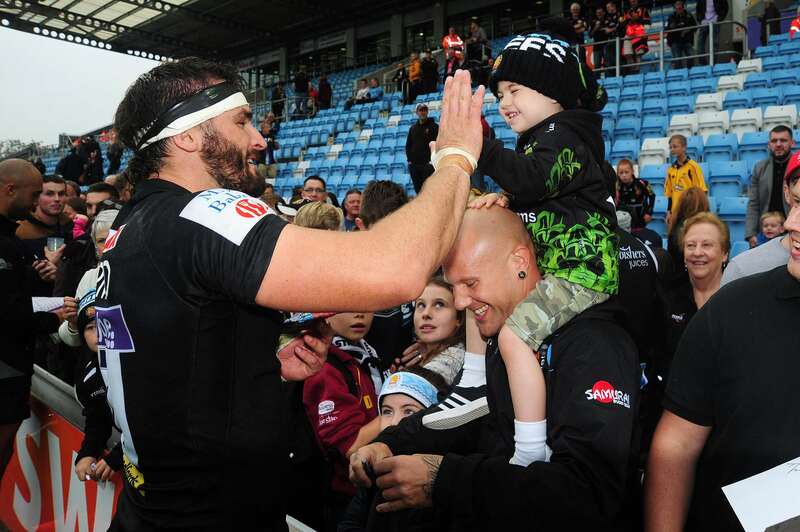 Our players know the importance of the wider 'Chiefs Family' - so make sure you and your family take up the opportunity of meeting the Chiefs in the flesh. Get here early and enjoy a full day out! Dress for the weather conditions, some areas of the stadium are exposed to the elements! Buy yourself a match-day programme, only £3 and full of exclusive editorial and features, and take a visit to the Exeter Chiefs Trading Post or Mobile Stores and show your support! Look out for the Big Screen, showing a live feed of the game, and other highlights of the day. 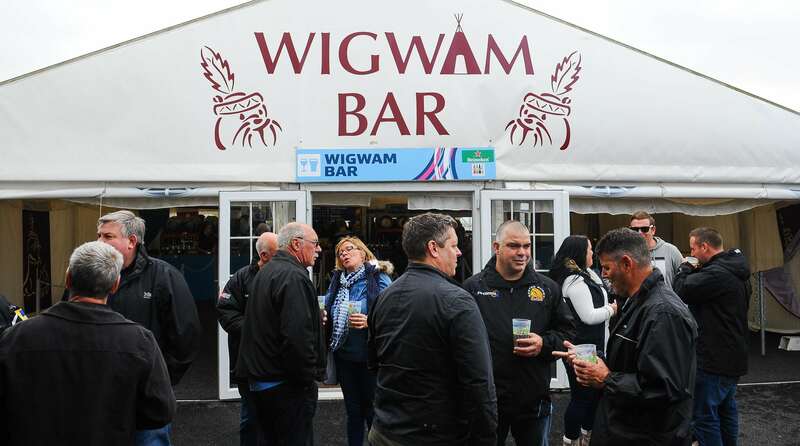 Post-match enjoy two live bands in the Exeter Suite or Danny's Disco in the Wigwam Bar, ensuring the perfect end to a match-day at Sandy Park.